Accessible Arts is hosting a series of three masterclasses in 2013 tailored to dancers with and without physical or sensory impairment, and people who experience mental illness or have an acquired brain injury. The masterclasses will be led by some of Australia’s most respected choreographers, Sue Healey, Dean Walsh and Philip Channells. All three artists were involved in the the 2012 series which was held at Carriageworks in Redfern. 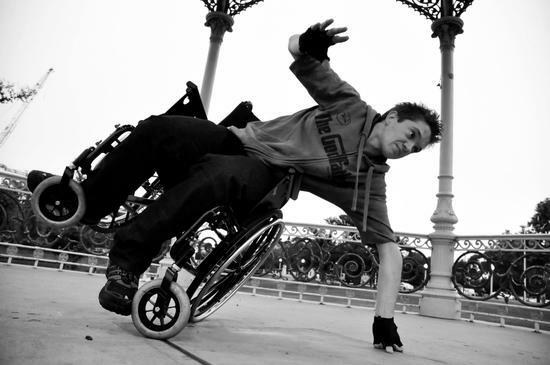 The Catalyst Dance Masterclass series aims to provide skills development and training for emerging and professional dancers, physical theatre performers, dance teachers, educators, choreographers and arts practitioners with and without disability currently working or interested in working in inclusive practices. The workshop process will be focused on choreographic devising methods and strategies for creating new contemporary dance theatre. The dancers will be involved in a collaborative process that involves improvisation, task-based exercises and individual creative choices unique to each participant and choreographer’s method and process. Workshops run from 10am – 4pm each day. The Bangarra Studio/Theatre is an accessible venue. Wheelchair, Auslan, Disability parking and drop offs on the Pier can be arranged. Bookings are essential for Auslan interpretation.